This week, A.C.T. Artistic Fellow Jonathan Carpenter tracked down Christine Plowright, the “performance monitor” (a.k.a. 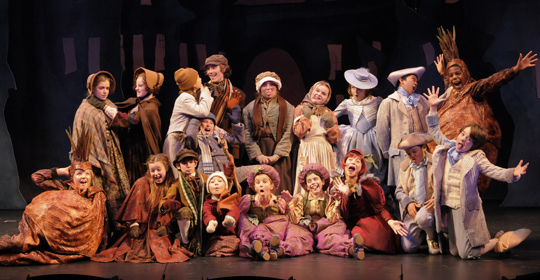 kid wrangler extraordinaire) for A Christmas Carol, to get the inside scoop on life backstage with the brood of young actors that grace the A.C.T. stage each December. 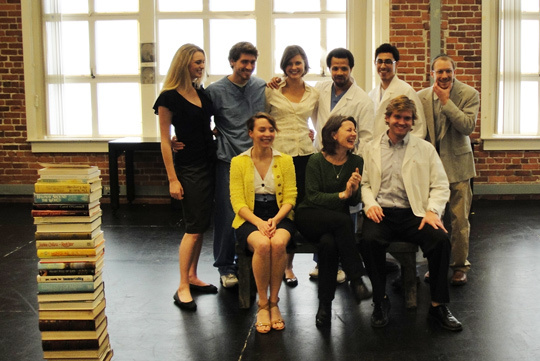 To begin one’s life as a first-year acting student in the A.C.T. Master of Fine Arts Program is to cultivate the virtue of patience. These young actors, some of whom have already performed professionally, spend their first three months in class, returning to the basics through improvisational exercises and scene study, before they get a chance to work on a play at the end of their first semester. And it’s not until the second semester that they get to perform in front of a public audience. Tom Stoppard and André Previn’s Every Good Boy Deserves Favour premiered in London as part of Queen Elizabeth II’s 1977 Silver Jubilee. Stoppard’s political play about government repression of free speech isn’t exactly jubilant, but it does have a certain majesty. 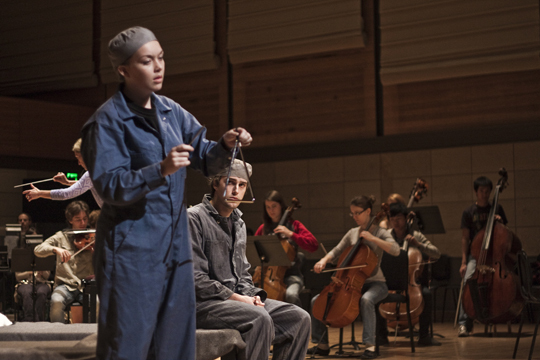 EGBDF (the title is a mnemonic device for remembering the notes of the treble clef on a musical staff) calls for an onstage orchestra that is an integral participant in the performance; the original production featured Ian McKellen, Patrick Stewart, John Wood, and the entire London Symphony Orchestra.